Sometimes the most impactful ideas are the simplest. Spanning from Canada to Chile and real estate referrals to detergent supply, here are four examples of surprisingly simple social enterprises. Despite that each of these ideas are relatively simple in concept, they still require plenty of effort (and blood, sweat and tears, I’m sure) to implement. So, although these social enterprise ideas might be simple at their core, the reason to celebrate is that the social entrepreneurs behind these impactful ideas took action to make them a true reality. Initial ideas are a dime a dozen, but finding one that fits with your specific skills and experience, along with thoughtful and strategic execution, is everything. 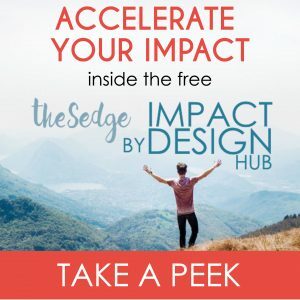 Enjoy these examples of social innovation not only for general inspiration, but for a glimpse into what is possible when you blast the electricity of inspired action into your light bulb moments! 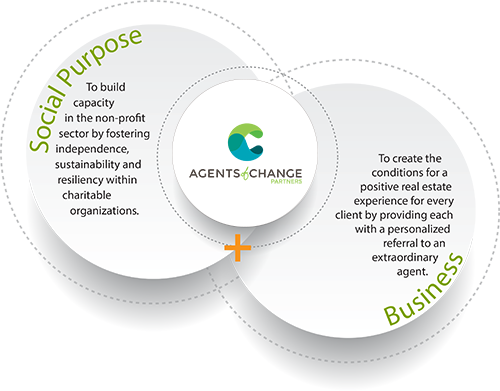 Agents of Change is an innovative social purpose business that connects realtors with homebuyers while giving back to local charities and nonprofits at the same time. They are a real estate referral agency. Essentially they work their magic to find a homebuyer the perfect realtor to work with – one that is a great match for their needs. This is a referral service that generally costs realtors 30% of total commissions once the home is bought/sold. But here is what makes Agents of Change a unique and impactful social business. As a client, 20% of that referral fee is re-directed back to the charity or non-profit of his or her choice. It really is win-win-win! Client gets matched with an outstanding realtor, realtor gets more clients, charities benefits from large sum donations through this new revenue stream, and Agents of Change is run sustainably off the 10% of commissions they keep as payment for their great service. 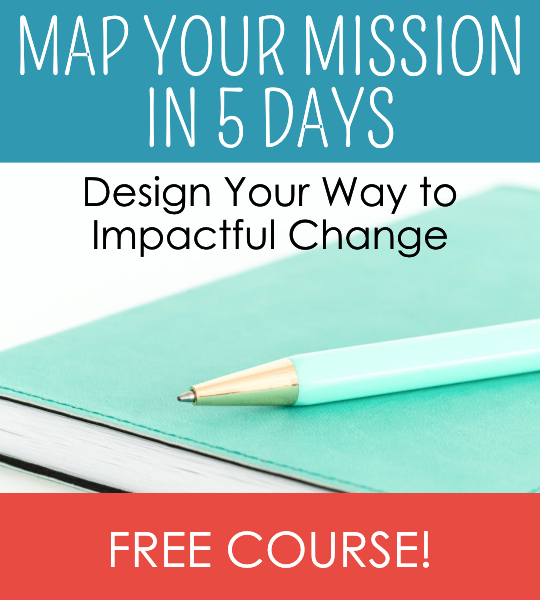 Agents of Change has raised $90,544 for charitable organizations since launching! With fun, at-home food growing kits, Back to the Roots is on a mission to re-connect families to the source of their food. 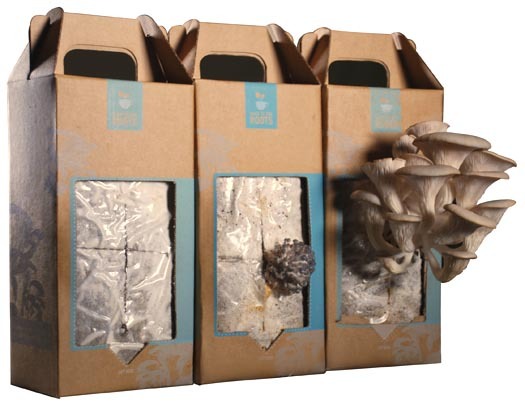 It all started with the Grow Your Own Mushroom kits, where you can grow your own edible mushrooms. 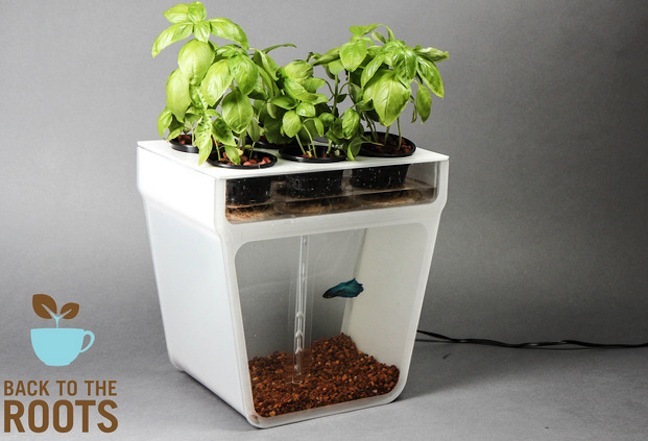 Since then, Back to the Roots has expanded to include a Water Garden, a self-cleaning fish tank herb garden, and the Garden in a Can, to grow cilantro or basil in your kitchen. Founded by Stacie Whisonant, a social entrepreneur with years experience in the financial industry, Go Pay Your Tuition leverages the idea of crowdfunding to reduce the burden of student debt. Students seeking funds to continue their post-secondary education can use Go PYT to crowdfund money specifically for tuition. Unlike other crowdfunding platforms, money raised from friends and family on Go PYT is sent directly to the student’s school to go towards tuition. This provides extra assurance to campaign contributors that funds are being used for school. This simple model not only helps students raise funds to cover the cost of school, but it also provides a unique perk for banks lending to students. This is because students using Go PYT shows lenders they are reliable and responsible (much like character loans used in microfinance). Thanks to financial institution partnerships, Go PYT students might also be eligible for an additional $10,000 in low-interest loans without assets or co-signors as security (details here). When now CEO, José Manuel Moller, was studying in Chile he noticed that families were paying on average 30%-40% more for goods in small quantities. As it turns out, low-income families with less liquid cash flow were being forced to pay a premium for buying products in small volumes. The result is that over time, they end up grossly overpaying for the same amount of product and not benefiting from large volume discounts. 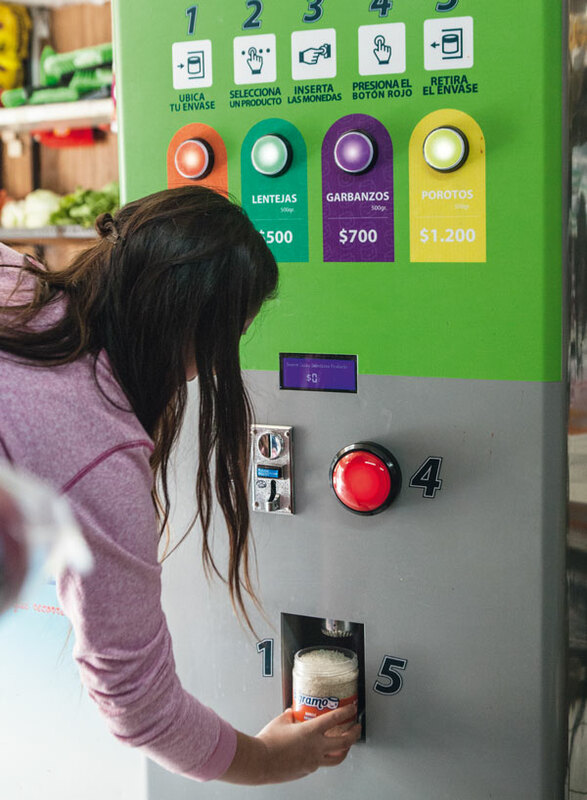 Algramo’s solution is to provide dispensers in neighbourhood grocers that dispense bulk product in small quantities, for the same price and almost no packaging. Not only is the model providing economic benefits, but also environmental benefits. Once a family has purchased one Algramo package, they can reuse it over and over and purchase new product in low volumes. After first prototyping with detergent, Algramo now offers five products: detergent, beans, lentils, chickpeas and rice. The Shoe That Grows – The Name Says It All! The Shoe That Grows is not exactly a social enterprise – it is a registered charity that sustains itself through a philanthropic model where shoes are purchased by generous people and donated to those in need. But, it is such a great example of innovative product design, and implementing a simple idea to serve basic needs of those in poverty that it needed to be on this list! 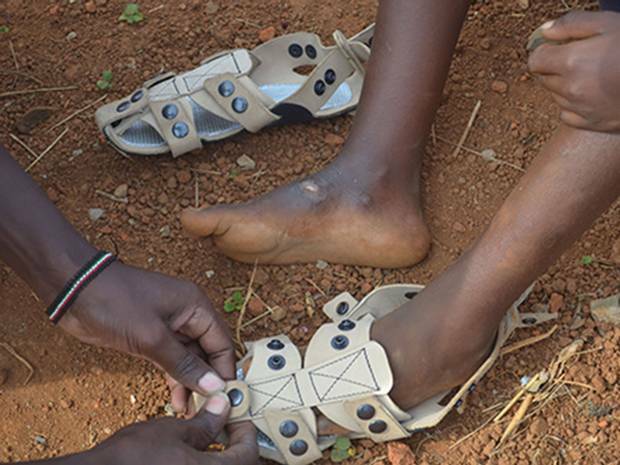 The Shoe That Grows designed a shoe that does just that. It grows as a kid’s feet grow so they can use the same pair of durable shoes for up to 5 years. The shoes are designed in such a way that the straps can be adjusted to increase the shoe by 5 sizes. Kids no longer have to wear shoes are too small. Every pair costs $15 and are sent to places in need 50 at a time in a red duffle bag. There you have it. Four surprisingly simple examples of social entrepreneurship, along with an honorary mention for outstanding product design. 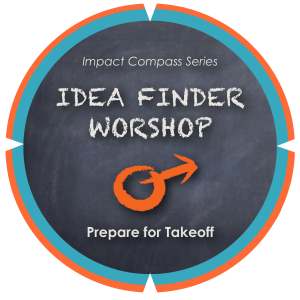 As you read, if you found yourself asking, “why didn’t I think of that?”, and are seeking to design an impactful social enterprise project yourself, I challenge you to join the Impact Compass IDEA FINDER Workshop with me on July 29th. Chances are, you have a powerful idea like one of these that could greatly improve the quality of life of many! It’s up to you to develop your great ideas into actionable ones.